You're a good citizen. You work hard. You pay your taxes. You respect your fellow citizens. And in the blink of an eye, you find yourself the victim of a catastrophic personal injury, all because someone else made an avoidable mistake. What are your options? Are you on your own? Fortunately, you don’t have to go through this difficult time alone. Chattanooga personal injury lawyer Herbert Thornbury is here in this moment of pain and trauma. The legal system provides help to innocent victims like you, and Attorney Thornbury can help you pursue the justice and compensation you deserve. If you need an experienced personal injury lawyer in the Chattanooga, Tennessee area, please call Herbert Thornbury, Attorney at Law today at 423-443-3973 today for a complimentary case evaluation. It's important to remember that “personal injury law” is an umbrella term that encompasses a huge, diverse group of case types. When you're looking to find the right personal injury lawyer, make sure to choose someone with experience in the cases that are relevant to you. But if your case doesn't seem to fall under one of the case types listed above, don't despair, and don't assume we can't help you. Call us, arrange a free consultation and tell us your story. You might have more options than you think. One of the most important things we can do for you is to evaluate your claim and help you determine if you have a viable case. Many victims simply assume they don't, and, as a result, lose out on the chance to pursue the justice and compensation they deserve. We are happy to talk to you about your case at a free initial consultation. We will listen to your story, answer your questions and advise you on the best path moving forward. Duty: You must first demonstrate that the other party had some duty to you. It's important to know that this “duty” doesn't have to be an explicit, contractual arrangement – you have a duty to everyone on the road when you're driving, for example. Breach: Next, you have to prove that the other party breached that duty in some important way – to continue the previous example, driving while drunk is a breach of the driver's duty to maintain the highest levels of safety while behind the wheel. Harm: You must be able to prove that you suffered a physical or financial harm and that you are pursuing compensation for that harm. Connection: Finally, you need to prove a direct link between the other party's breach of their duty and the harm you've suffered. Again, no personal injury lawyer can promise you a successful claim. But if your case has the elements listed above, you likely have a compelling case. For additional information, please read our Personal Injury Questions page. 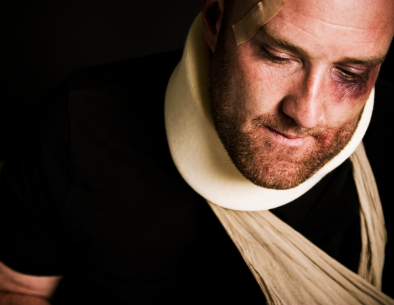 The reality is that there are a lot of personal injury lawyers in the Chattanooga area. Many of them will offer you their services if you have a viable personal injury claim. How can you choose the right attorney from among all of your options? The most important factor to consider is experience – specific, relevant experience. You need to find a personal injury lawyer who has successfully pursued cases involving accidents and injuries that are similar to yours. There's a big difference between the practice of law and the theory of it, and there's no substitute for experience handling the specific type of case you have. In addition, you should always seek recommendations when choosing a lawyer. Accidents are common, and there’s a pretty good chance that someone you know has required the services of a personal injury lawyer. Ask around with your friends and family and get their opinion on the lawyers they’ve worked with. Mr. Thornbury has been practicing personal injury law in the Chattanooga area for decades. He has helped many clients who have suffered the devastation of a catastrophic personal injury to put their lives back on track. You need – you deserve – the best possible legal representation. Mr. Thornbury can help. If you've been hurt due to another person's negligence or misconduct, please call Herbert Thornbury, Attorney at Law today at 423-443-3973 for a cost and obligation-free consultation. Mr. Thornbury serves clients in the Chattanooga, Tennesee area.